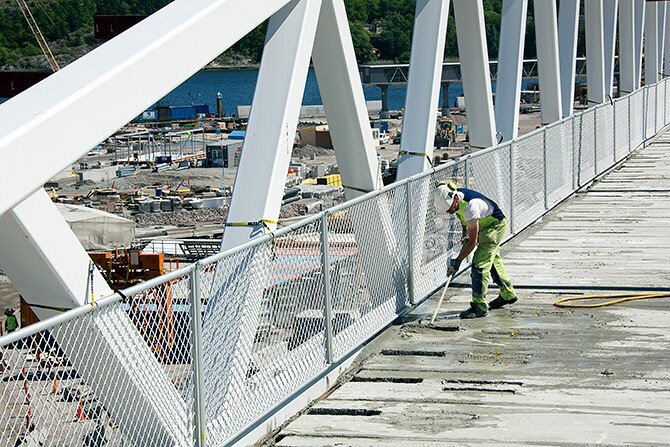 With designed and pre-installed attachments on columns the installation of the edge protection will be facilitated. To use the available columns and attachments creates a free surface of the slab and can be used for other work tasks. 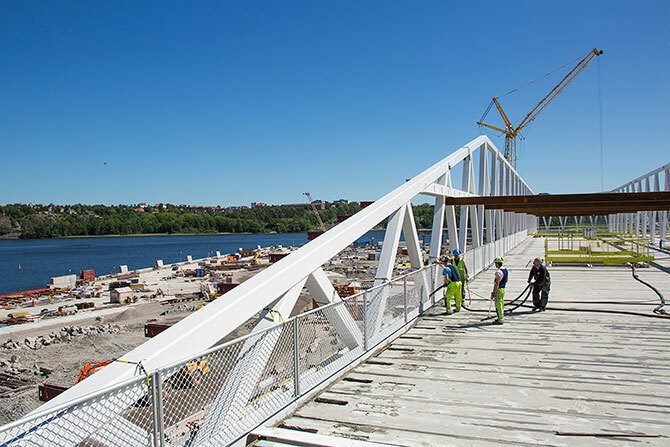 The edge protection will be suspended on the columns above the working surface at a correct height, considering future work to be carried out. If the design of the attachment is not done in advance, there are other attachments available. In such a case, please contact us. SafetyRespect’s Barrier Alu 3 m can handle large spans and makes possible installation between columns. The Barriers are continuously jointed with Pipe joints or Pipe couplings without using any attachment on the slab. The Barriers can be raised so that they create a completely free working space required when applying a new surface layer, casting, etc.